Titanium Motorsports Racing Journal #63: September 17th, 2011 - Testing on the Autocross at the Fun Ford Weekend at PBIR. #63: September 17th, 2011 - Testing on the Autocross at the Fun Ford Weekend at PBIR. With the new motor now in the car and running, I decided to take it to the Fun Ford Weekend at Palm Beach International Raceway. (about 20 minutes from my house) As part of the festivities, there was a autocross setup that encompassed the entire north end of the road race course. With a entry fee of just $20, it was an inexpensive way to put some heat cycles on the piston rings and shake-down the car before its next race. I used the RV to tow the car to the track, so that I would have my golf car and any tools that I may need. However, my track-time was cut short, as on my second lap, I smelled burning oil on the exhaust. 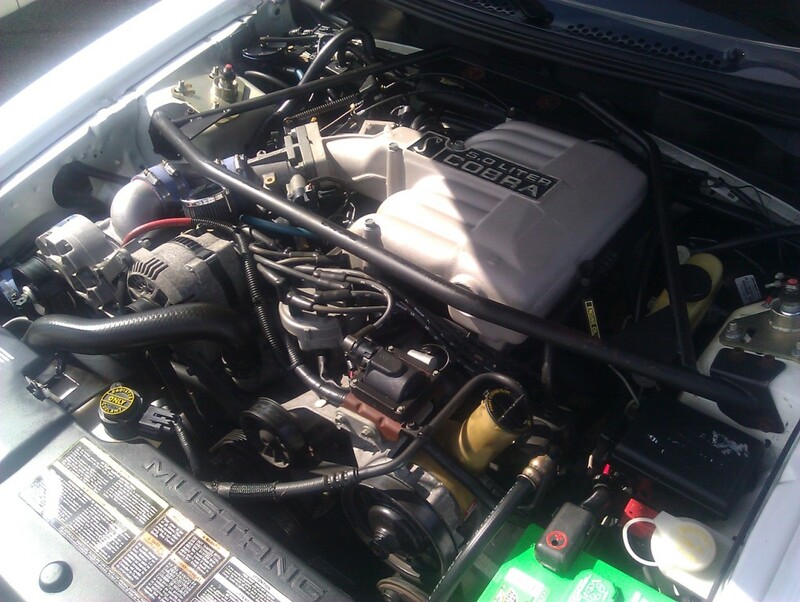 I pulled the car up next to the RV and jacked it up, only to find a large oil leak coming from the back of the motor. I loaded the car back on the trailer and spent the rest of the day enjoying my time at the car show and with my friends from the Palm Beach Mustang Club. 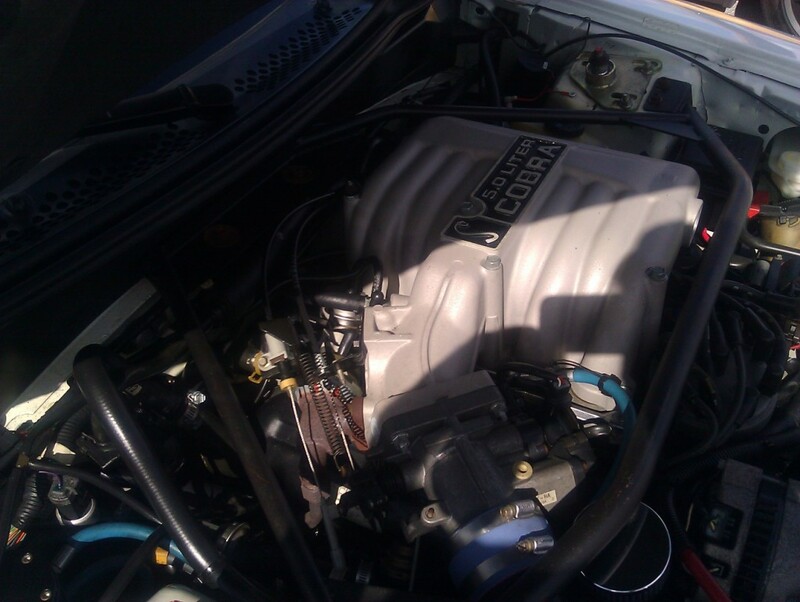 Here are some pictures of a white 1994 Supercharged SVT Cobra Mustang engine that was entered in the car show.